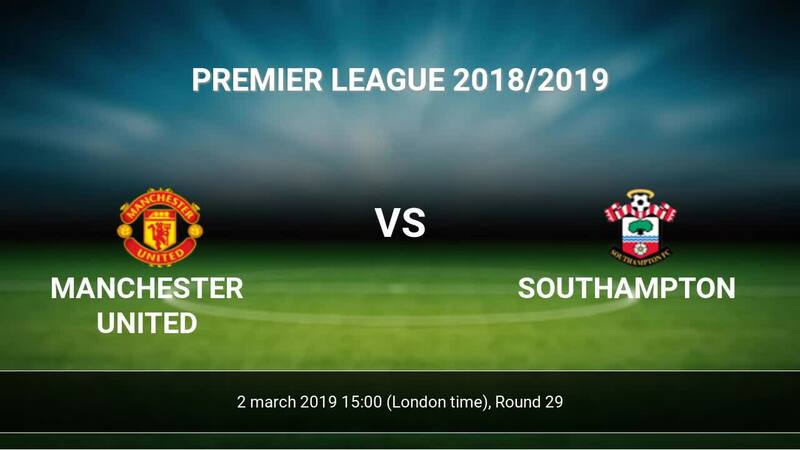 Match Manchester United-Southampton Premier League the fixture is set to kick-off today 15:00 on Old Trafford. Refereee Stuart Attwell. Team Manchester United is at the top place in the table (5 place). Last 5 games (league + cup) finished balance 11 points. From 2 matches at home can't win a match. Manchester United has not been defeated from 11 matches. The best players Manchester United in Premier League, who scored the most goals for the club: Paul Pogba 11 goals, Romelu Lukaku 10 goals, Marcus Rashford 9 goals. Most goals developed: Paul Pogba 9 assists, Marcus Rashford 6 assists. Injured players Manchester United: Juan Mata, Jesse Lingard, Ander Herrera, Antonio Valencia, Nemanja Matic, Matteo Darmian. 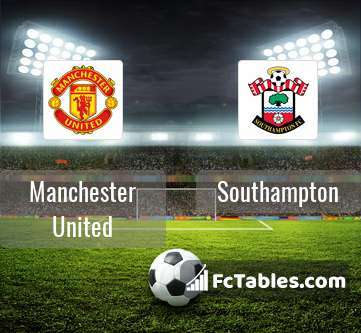 Team Southampton currently is on lower place in table (17 position). In 5 last games (league + cup) Southampton get 5 points. Southampton from 2 matches away can not beat any rival. Players Southampton in Premier League with the highest number of goals: Danny Ings 7 goals, Jamie Ward-Prowse 4 goals, Nathan Redmond 3 goals. Most assists in the club have: Danny Ings 1 assists, Nathan Redmond 2 assists. Injuries in the team Southampton: Danny Ings, Mario Lemina, Michael Obafemi. Direct matches: Manchester United won more direct matches. 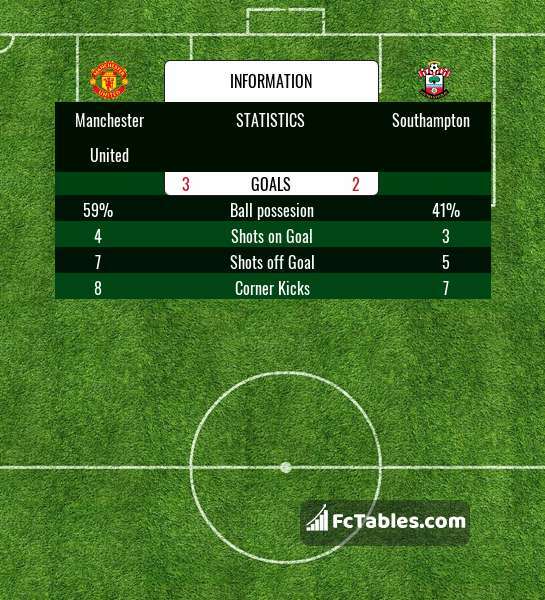 Manchester United won 19 matches , Southampton won 4 direct matches, was a 6 draws. In 19 matches the sum of the goals both teams was greater than 2.5 (Over 2.5), and 23 matches teams scored more than 1.5 goals (Over 1.5). In 17 matches the both teams scored a least one goal (Both teams to score).